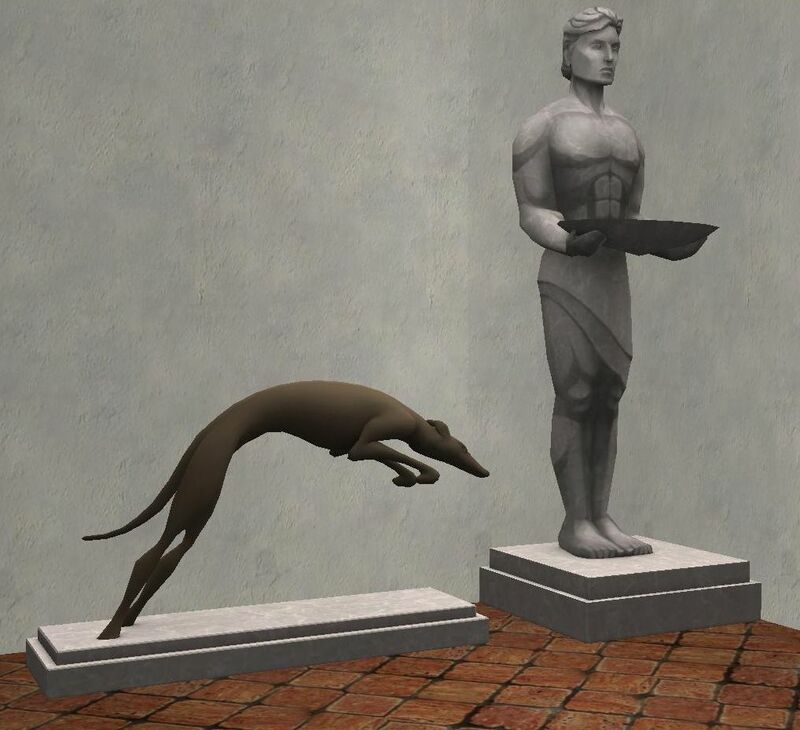 I've converted the only 2 statues from The Sims 3 Store Arcade Regency set, the dog and man for The Sims 2. Both statues are found in decorative/sculpture and both cost 500 simoleons. Enjoy! Dead link. Could you please reupload?